The aim of the task group is to provide requisite information for biennial review discussions and for policy and program formulation on improving the quality, reliability, management and accessibility of agricultural research data in African Counties (AC) and beyond. Further to strengthen the collection, management, and availability of agricultural statistics data in AC based on already developed strategic plan for strengthening agricultural and rural statistics (SPARS) and within Comprehensive Africa Agriculture Develop Programme (CAADP) processes. Making agricultural research data available and usable will empower the different stakeholders (scientific and technical community) to make informed decisions, improve management capabilities, awareness, enhance adaptation and mitigate against potential risks. The group will be responsible for the review and harmonization of key agricultural research data and statistics for the AC and beyond, and integration into the developed multi-year comprehensive National Agricultural Investment Plans (NAIPs) in AC for sustainability. Additionally, to formulate proposals for improving the usability of existing agricultural research data, SPARS and eventually integrating new generated data as a framework policy. Much of the agriculture and related data generated in most EA countries are not visible and available for access and re-use to meaningfully contribute to impact on food security in the region. This is due to several reasons and challenges both at institutional and national levels. The TG aims to bring together stakeholders in agriculture to develop and implement strategies for knowledge sharing and improving the visibility and accessibility to agricultural data and science in EAC. This will bridge the widening gap between research and practice commonly inherent in difficulties of access, analysis, and publication of the East African agricultural research knowledge and statistics data needed for the achievement of Sustainable Development Goals (SDGs). Using big data and ICT techniques create a virtual platform for data sharing, visibility, and available for access and re-use and management (analysis and publication) to all stakeholders. 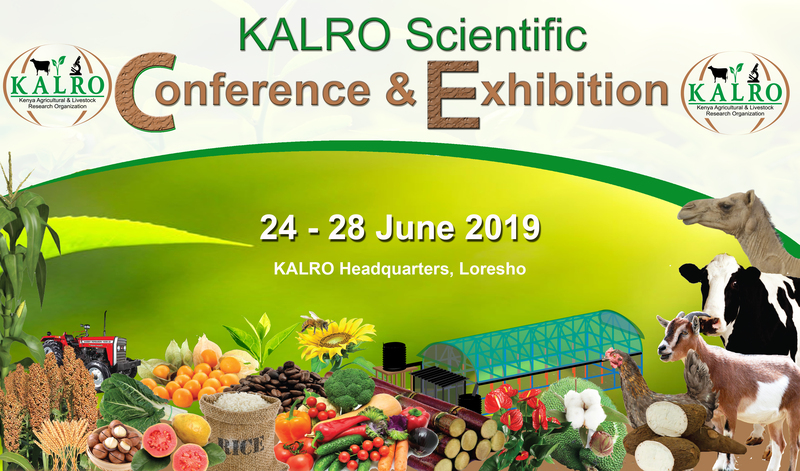 The platform will create an opportunity for access, reliability and management of agricultural research knowledge for the different stakeholders and initiatives, and strengthen collaboration between the multiple stakeholders in agricultural and rural development at the global, regional, national and local levels. Improved decisions skills, strengthened adaptive capacity and resilience of stakeholders on high value and benefit of data uses and re-use, and further institute a practice-oriented research and collaboration culture among colleagues and wider public working together on similar initiatives. In addition, cultivate cohesion among the different groups leading to effective agricultural research knowledge utilization, strengthening partners’ capacities and enhance agricultural data visibility. CODATA can leverage on the enabling policy framework for open data and open science at the regional, national and institutional level, increase adoption open data and open science agenda as well as improve access, reliability, and management of agricultural research knowledge and data. Strong focus open data and open science initiatives will impact positively on the livelihoods of farmers and rural communities through utilization of agricultural research data and knowledge. Additionally, commissioning case study research on the value and impact of open data on development including agriculture, innovation, governance, and accountability will add value to agricultural community in AC and CODATA partners. Identify the elements of a plan to move forward quality, reliability, management and accessibility of agricultural research data in AC to support countries’ strategic plan for strengthening agricultural and rural statistics (SPARS) data. Enhance and strengthen agricultural research data, knowledge and statistics action plans within CAADP processes. Promote the concepts of open data, access and science within CAADP framework in African countries and facilitate institutionalization of multi-year comprehensive National Agricultural Investment Plans (NAIPs) in AC. Incorporate greater openness and transparency of agricultural research data, knowledge and statistics, and a higher profile for the quality, reliability, management and accessibility development of research data in NAIPs for AC member states. Develop innovative solutions to improve access to agricultural research data hence address food insecurity, and combat hunger and poverty in AC. Unlock the huge value and benefits through open data and open science using available case studies/evidence on open data and open science to advance agriculture as realized during the various stakeholders forums and meetings undertaken on Big Data, Open data and Open science in June, 2015 Nairobi -Kenya and March, 2016 in Seoul- Korea). Create Open data and open science enabling environment including appropriate governance, policies, data archiving policies and strategies for research institutions and research funders. The framework will address the main issues hindering the adoption of open data and open science including lack of understanding of open data, open science and open access among key stakeholders; wide spread concerns with plagiarism of open resources; absence of Intellectual Property Rights policies resulting in reluctance to provide access to open data and in some cases “over protection” of data; and the absence of policies and strategies for data preservation/archiving (to guarantee continued access to data) in most institutions in AC. Create awareness to data owners that Data has multiple uses and can be re-used and can be beneficial to the wider public, researchers and generation of new knowledge. Engage young scientists to actively drive the mindset shift and foster collaborative research, open data and open science agenda leveraging on existing networks and platform such as Kenya Agricultural information Network (KAINET www.kainet.org), Global strategy, CAADP Framework, Big Data conference in Seoul –Korea recommendations and findings from the Forum on Open Data and Open Science in Agriculture workshop, organized in June 2015, Nairobi Kenya by FAO of United nations and Kenya Agricultural and Livestock Research Organization (KALRO). Facilitate the development of an e-infrastructure that supports open data and open science, including archiving of data, open access to institutional repositories and scaling up the Kenya Agriculture Information Network (KAINet) to support more digital repositories in agriculture organizations. Building on existing strategies sensitize researchers/lecturers on open access, benefits and Creative Commons Licensing of content; Encourage more institutions to establish institutional repositories, and use tools that conform to international standards which allows for metadata harvesting; develop systems for tracking and monitoring the visibility and impact of the data/content made available through open access by the institutions to highlight the impact and benefits of open data/open science.